After seeing a few posts in my LinkedIn newsfeed recently, my interest was sparked, and they got me wondering. Do people actually know what to ‘do’ on LinkedIn? Amazingly, ‘how to use LinkedIn?’, ‘how does LinkedIn work?’ and ‘what is LinkedIn used for?’ attract 1,000, 480 and 260 online searches in the UK per month respectively, according to SEMRush. 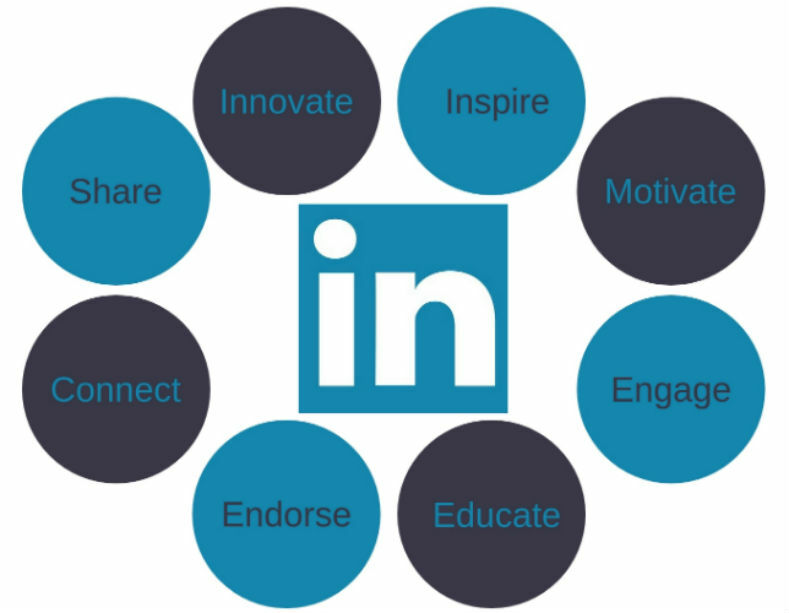 That equates to a lot of people who don’t have a clue about how to leverage the power and potential of LinkedIn. How Long Should You Spend on LinkedIn Each Day? One of my muses for this post, my friend and Connection, The LinkedIn Guru, Jeff Young recently reported that many of this seminar attendees accuse him of ‘having no life’, assuming he is on LinkedIn all day, every day. Indeed, it would seem that some people are on LinkedIn an awful lot, so much so that it seems impossible that they have any time left to dedicate to their actual job. However, people like Jeff, myself and indeed anyone who appears to be a serial LinkedIn user, aren’t necessarily on it 24/7. The more likely scenario is that they are just smarter with what they do on the platform, making their LinkedIn activity more efficient and effective. In fact, Jeff reckons spending just 20 minutes a day on LinkedIn can help build your personal brand, provided that time is spent in the right way. Interestingly, Doctor LinkedIn™ David Petherick, recently shared a great post titled ‘Your “5 a Day Diet” on LinkedIn”, calling for people to make LinkedIn a regular habit and claims the “diet” can be implemented in less than ten minutes a day. True enough, once you know the answers to the commonly asked questions below and have a little bit of discipline, you can be winning on LinkedIn simply by spending around half an hour a day on it. Its primary use is building relationships which may (if nurtured correctly) turn into valuable business opportunities and leads. By engaging! A community can only thrive if its members engage. Engage by imparting knowledge and insights and educating, motivating and inspiring each other’s network through valuable content, and Connecting with people. You wouldn’t build a relationship with someone by never visiting them or never speaking to them, would you? Likewise, when you paid someone a visit you wouldn’t simply sit silence, would you? A good way to start building relationships, and to establish who has the makings of a relevant and beneficial Connection for you, is Viewing their Profile. A great first step is to see who is visiting you. To check your Profile Views simply go to the ‘Your Dashboard’ section of your Profile under the ‘Show More’ link of your Summary. You’ll be presented by the Profile photos of some of the LinkedIn users who have recently visited your online door. Take a peek, see what they do, what they’re about and what their passions are. If you like, send them a personal message to Connect. Voila, relationship started! Try to View at least two relevant Profiles a day, and return the favour if someone has Viewed your Profile. Now that you’ve Connected, don’t be shy! People who enjoy a professional relationship encourage and guide each other, so why not Comment with some advice on posts from those in your network? Like some of their posts and give their Skills an Endorsement. Better yet, if you have worked with them or for them in the past, give them a Recommendation. Why should your Connections or future Connections be your ‘friend’ and take the time to build a relationship with you? Because you know your stuff, that’s why! Once you’re confident enough, start publishing your own content and articles. It might be easier to start by Sharing other people’s content that you found interesting. These can be infographics, articles, videos, podcasts or photos that caught your eye. Avoid Sharing without adding your own unique comment with the post, though — always aim to add value. I agree with the gentlemen above: all the aforementioned LinkedIn tips should take 10-30 minutes a day (providing you’re disciplined with that newsfeed scrolling). Doing it every day ensures consistency in implementing your LinkedIn strategy, nurturing and developing your personal brand each and every day. You know what they say, it takes 21 days to form a habit. So why not try Visiting, Speaking and Sharing for 21 days and see how your online reputation grows? Let me know how you get on!